MSK Ultrasound – Think about standards of practice! What clinical governance standards should I be aware of when using diagnostic ultrasound in point of care environments? The rapid expansion of point-of-care ultrasound has arguably accelerated away from the development of governance policies and established educational training routes and at times there appears to be some uncertainty and lack of clarity amongst clinicians on clinical governance of its use. This is in contrast to well established governance policies and ultrasound standards in traditional Radiology settings. At The Ultrasound Site we have experiences of working in both point of care and Radiology environments – private sector and NHS in the UK. 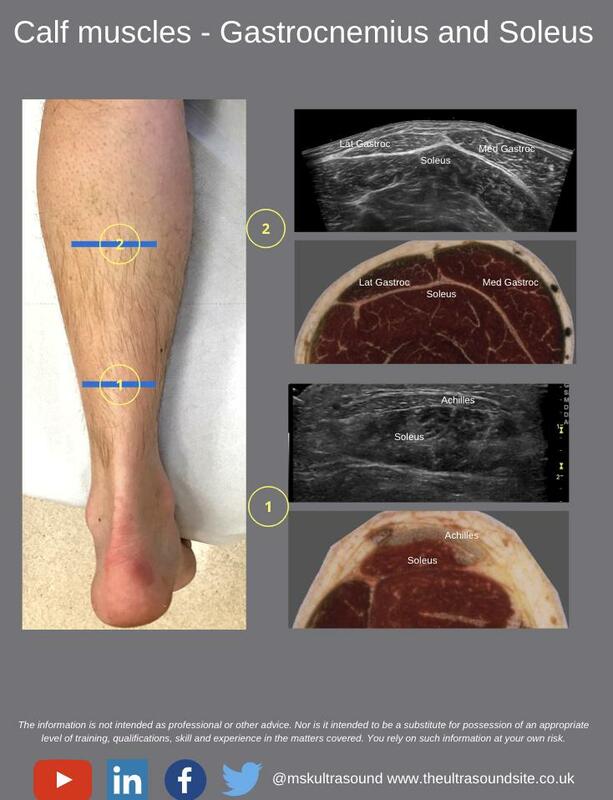 We therefore understand the differences, realities of the challenges and look to provide educational resources to support clinicians looking to integrate MSK ultrasound in their practice. Firstly, there are several comprehensive documents (see reference list) produced by relevant professional bodies, which serves as an excellent resource for anybody using MSK ultrasound in the point of care. Take some time to read the ‘Guidelines for professional ultrasound practice’ developed collaboratively by the Society and College of Radiographers (SCoR) and the British Medical Ultrasound Society (BMUS). Alongside this, the Royal College of Radiologists (RCR) has a number of excellent documents which will provide some clarity and detail around specific aspects of standards of practice. The key document produced by the Royal College Radiologists is the ‘Standards for the provision of an ultrasound service’ (2014). We will explore these topics progressively in individual blogs over the next few weeks and months exploring what established documents state about these topics but also introducing some of the realities and challenges that are faced by clinicians utilising diagnostic musculoskeletal ultrasound in point of care environments such as Sports medicine, Physiotherapy, Rheumatology, Orthopaedics, Podiatry and many more. How do I start to training in musculoskeletal ultrasound (2019) ? 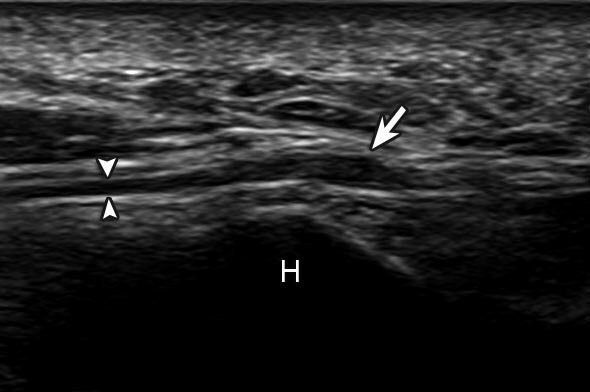 Ulnar nerve compression at hamate hook (H) in a cyclist shows hypoechoic enlargement (arrow) of the ulnar nerve superficial branch (arrowheads).